Save it to your Pinterest! 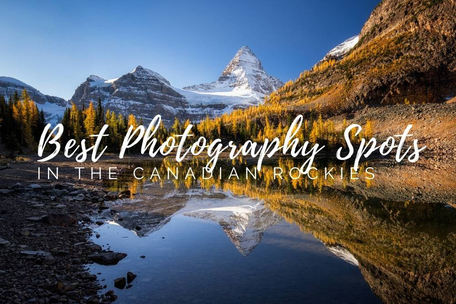 Although Banff National Park doesn't have as many great backpacking trips as other National and Provincial Parks in the Canadian Rockies, it certainly doesn't have a shortage of single day adventures. 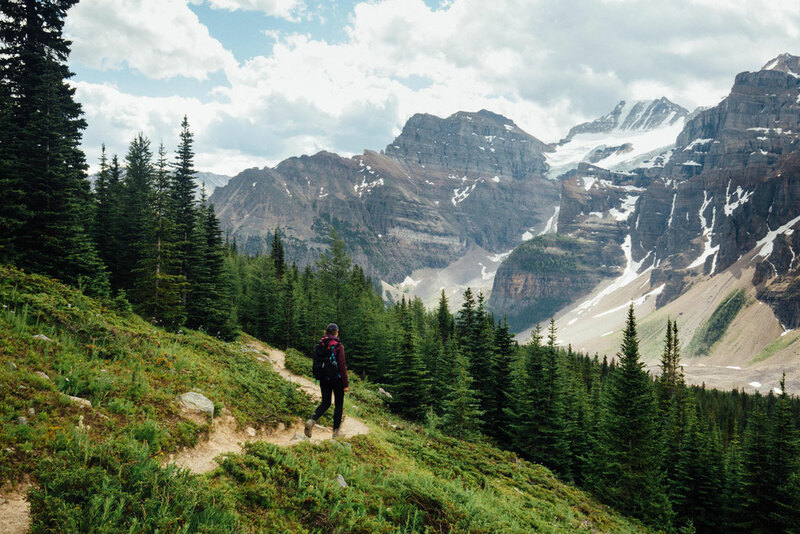 In the core area around Lake Louise and Moraine Lake you'll be able to find most of the trailheads that disappear gleefully off into the mountains, offering incredible alpine vistas and monumental glacier vantage points. Due to short length and small elevation gain some of the hikes on this list are also perfect for beginners! If you plan on doing any number of these hikes then I have very important pieces of advice for you. Start as early as possible, if that means waking up before sunrise then do it. 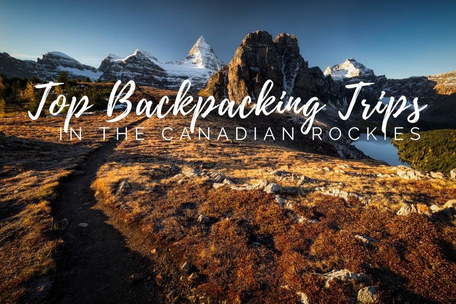 You'll get the best views with the best light, the least crowded trails and are more likely to be able to park at the trailhead instead of having to shuttle in via bus. The parking lots at Lake Louise and Moraine Lake where most of the trailheads are, sometimes fill up as early as 7am in the midst of the summer season! Lake Louise area is well known for its grizzly bear activity. Do bear in mind (pun intended) that hiking in groups of minimum 4 is sometimes enforced by the parks authorities. You can find out about current restrictions in the Lake Louise visitor centre or online. 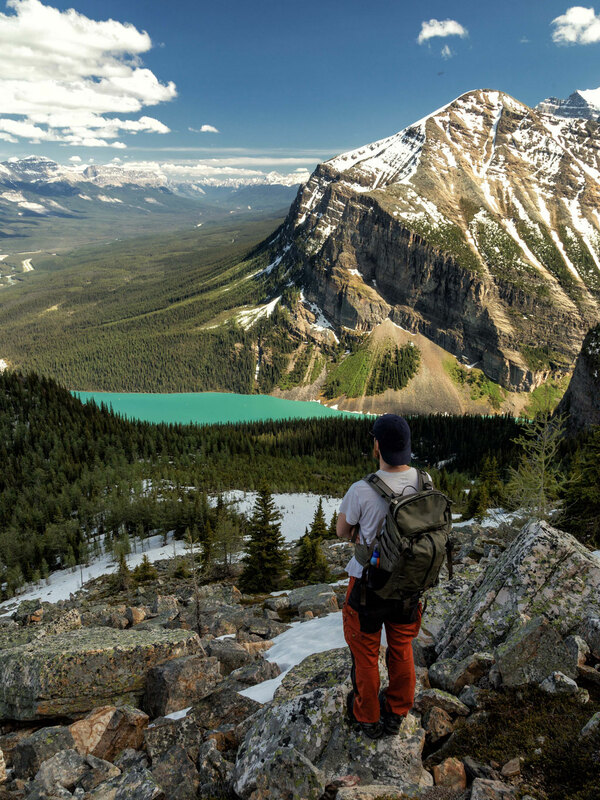 Carrying bear spray in the Rockies is a smart thing to do. Starting at the car park at Lake Louise, the trail begins with an uphill push almost to the shore of lake Agnes before it branches off right toward the Little Beehive. 400 meters before the summit of the Little Beehive the pathway veers off to the left onto a sign posted, but not very trodden path through the ever more sparsely situated trees. Once out of the trees the route is obvious and easy to follow and not before long you'll be tackling the rocky slope to the summit. 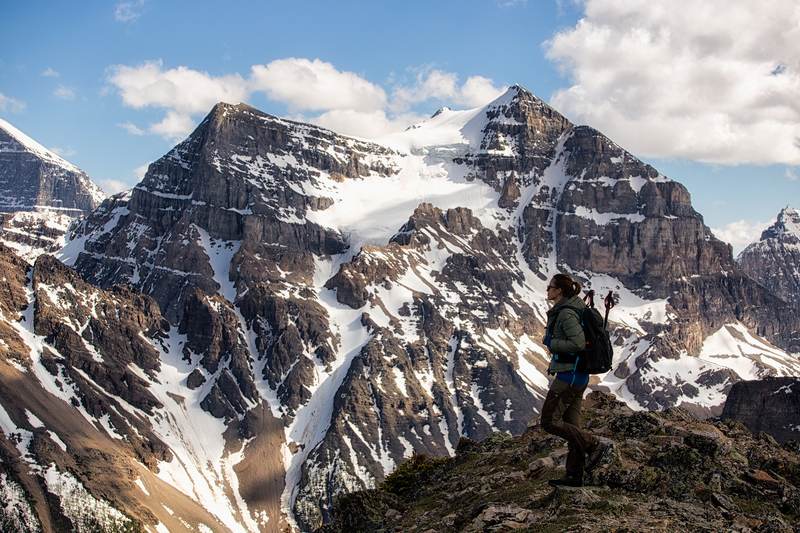 The summit views are some of the best in Canada. 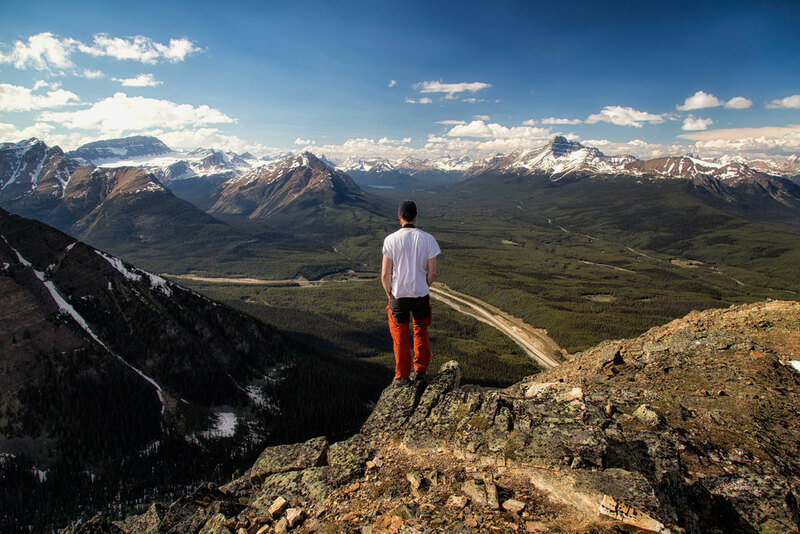 Surrounded by peaks to the West and South, the Bow Valley to the East, and the Waputik Icefield to the North. Truly remarkable and serene after the throngs of happy snappers at shoreline of Lake Louise. The Lake Agnes Tea House is a popular walk up from Chateau Lake Louise stopping at Mirror Lake about halfway. The view from the tea house is fantastic, so you might as well have a cup of tea here and take a break. The line for beverages might be a considerable length so try and get there as early as possible. After soaking up the views (and the tea) the extensions to the Little and the Big Beehive are well worth it. 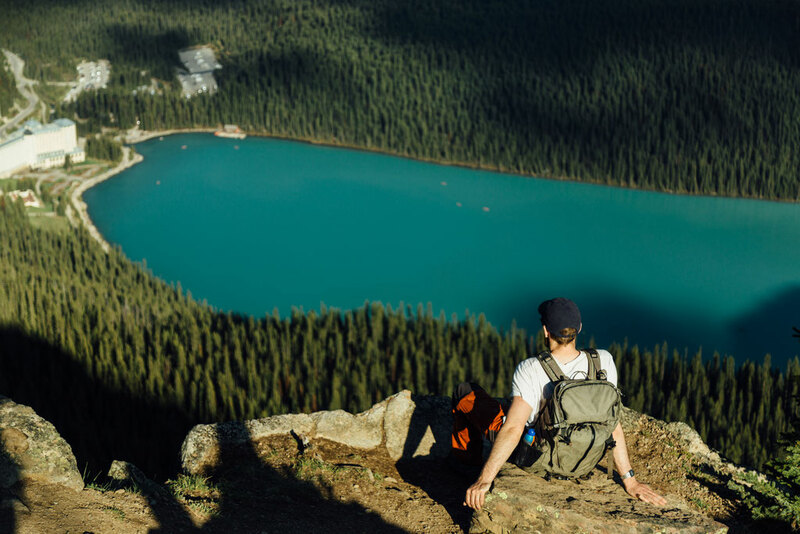 They won't take much longer, but offer views into the Bow Valley and over Lake Louise far beneath you. 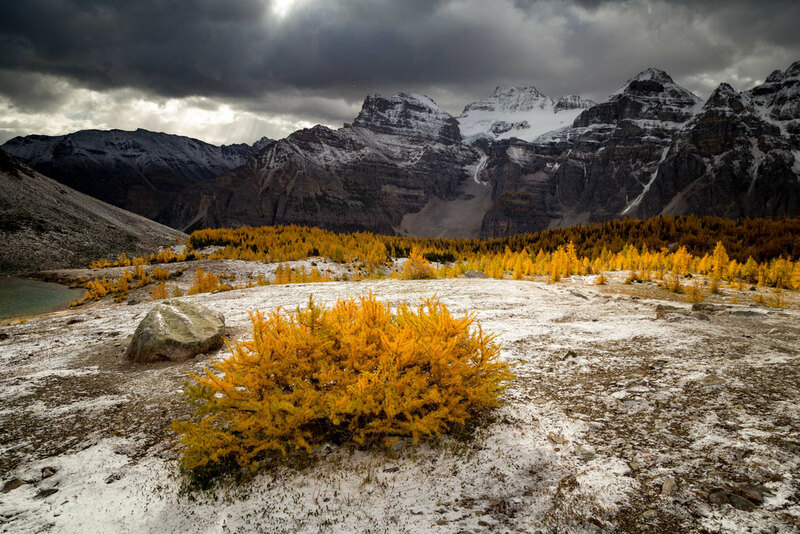 Larch Tree Valley is one of the most popular hikes on this list, especially in September, when the larches turn all shades of lime green, bright yellow then orange before eventually losing their soft needles. This marks the beginning of their dormant season. 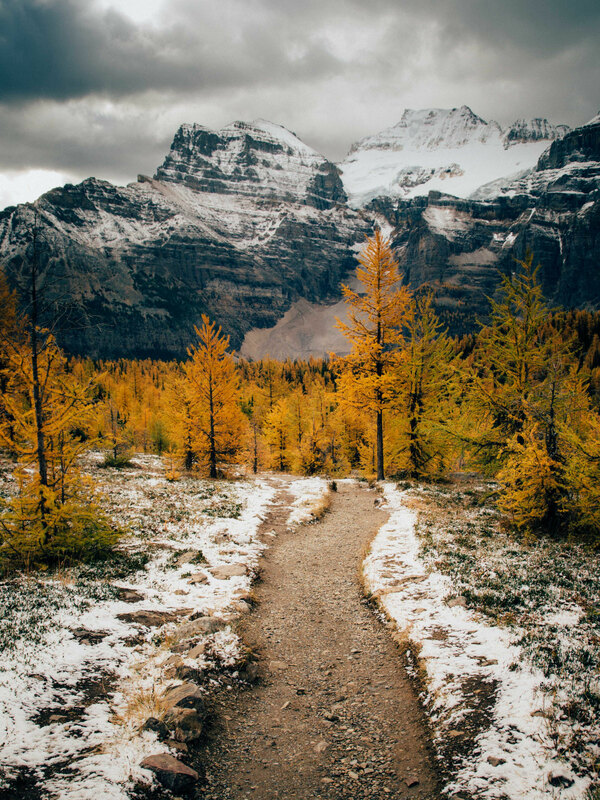 The trailhead starts at the Moraine Lake carpark, heads sharply uphill on switchbacks before flattening out in the bowl where the larch trees can really be appreciated. Once you pass Minnestimma lakes, the trail again slowly climbs to Sentinel Pass. 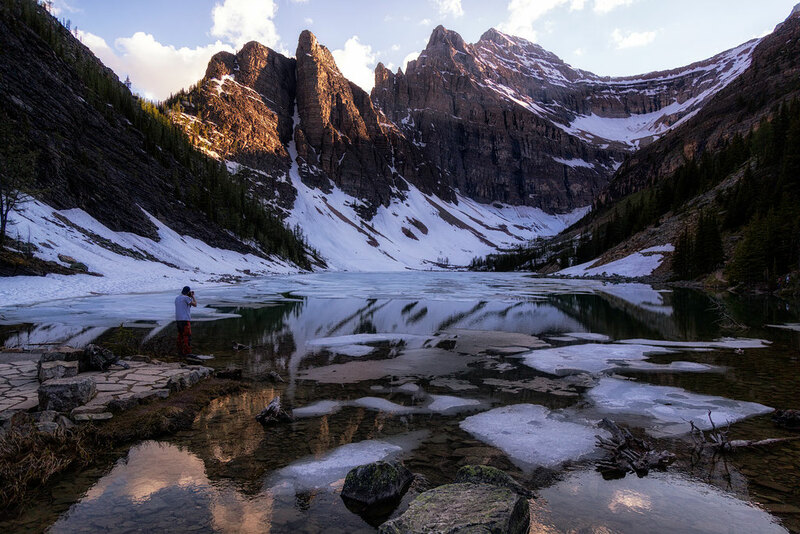 The Lakes are a popular spot among photographers offering fantastic reflections of the Valley of the Ten Peaks (providing there is no wind). I'm both amazed and thankful that more people don't do this hike. Another absolute cracker that starts from the Moraine Lake car park is the easy jaunt to the Consolation Lakes. It will take you away from the crowds at Moraine and offer some peace and quiet with spectacular end result. The lakes lie under gigantic cliffs where mountain goats can be spotted moving gracefully from rock to rock. 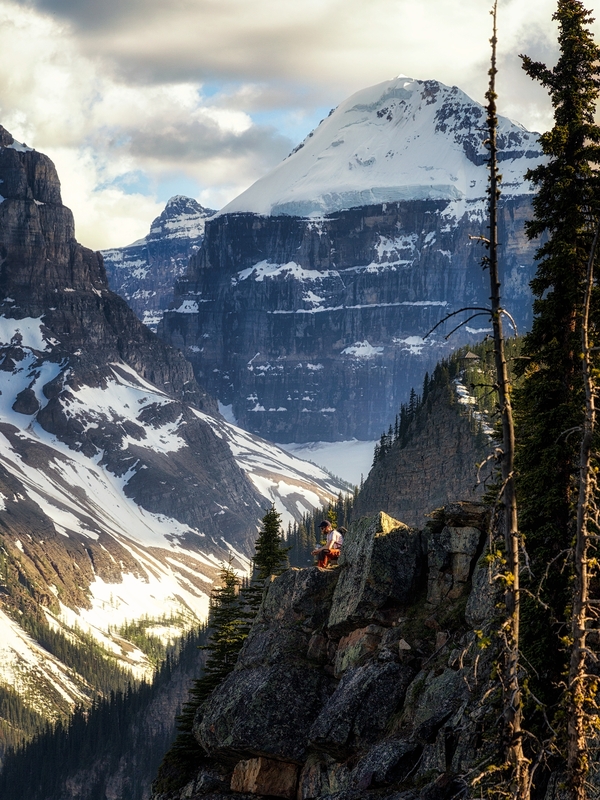 In my opinion this hike offers the best views to effort ratio in Banff National Park. The route to Eiffel lake starts at the Moraine Lake Car Park on the same trail as Larch Tree Valley/Sentinel Pass. After around an hour on the switchbacks the well trodden trail breaks away from the main crowds by taking a left at a prominent fork. From here the trail to Eiffel lake flattens out. 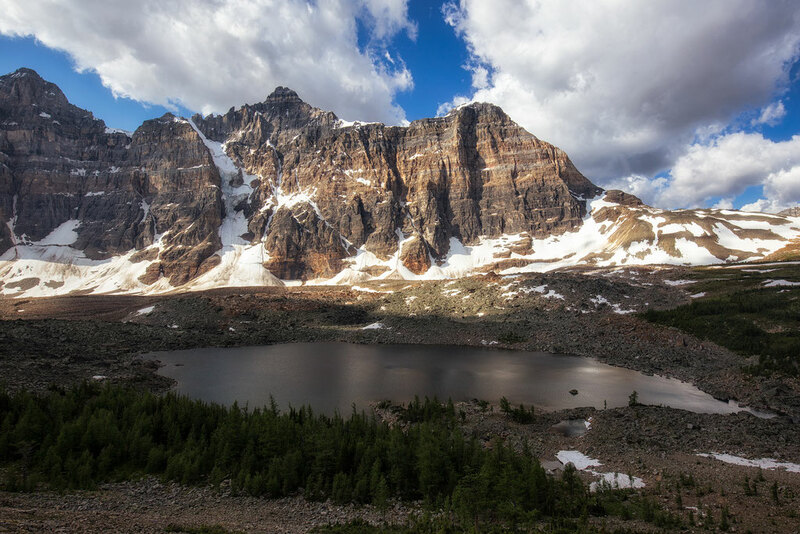 Soon you'll be out of the tree line hiking along a rocky bank, which offers incredible vistas of Hungabee Mountain right in front of you and the Valley of the Ten Peaks to your left. 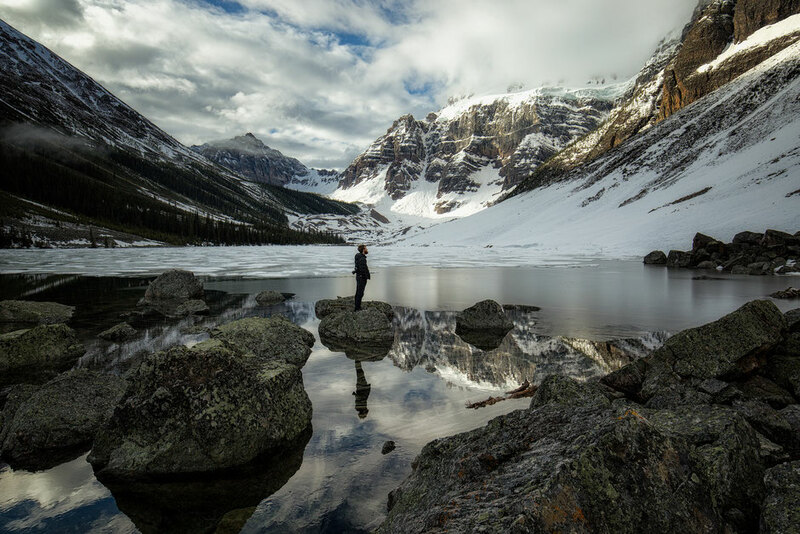 The alpine lake sits beautifully below Neptuak Mountain and is a great spot for a break. The trail then continues up hill to Wenkchemna pass. If you still have energy go for it! Certainly, a worthy extension. 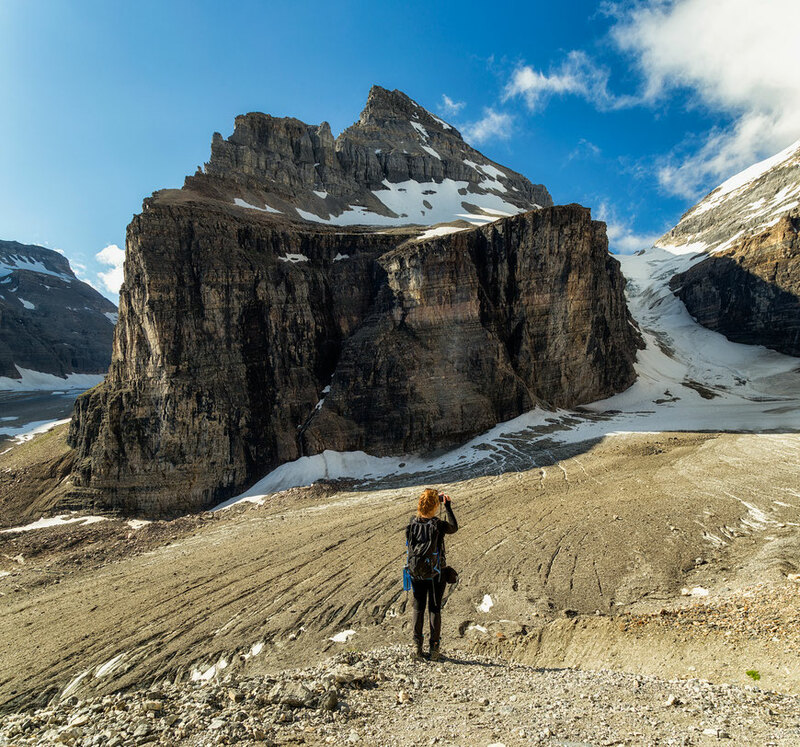 Another incredible hike with a phenomenal views to effort ratio, the Plain of the Six glaciers starts with a lakeside stroll along Lake Louise before gradually ascending to the tea house. Not before long you'll enjoy a cup of Earl Grey or Orange Pekoe whilst taking in some of the best views in town. You can either call it a day or continue along the trail around another 1km to the end of line where two huge boulders mark the finish line. From here the views are considerably better and open up. If you're lucky you may be able to spot a glacier calving and falling to its demise. 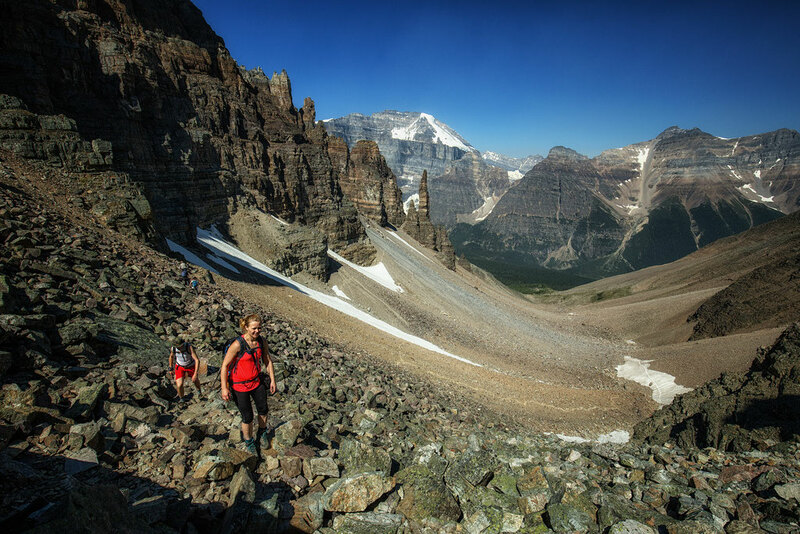 This almost 20 km circuit either starts at the Paradise Valley Trailhead (on the Moraine Lake Road) or at the Moraine Lake Car Park. 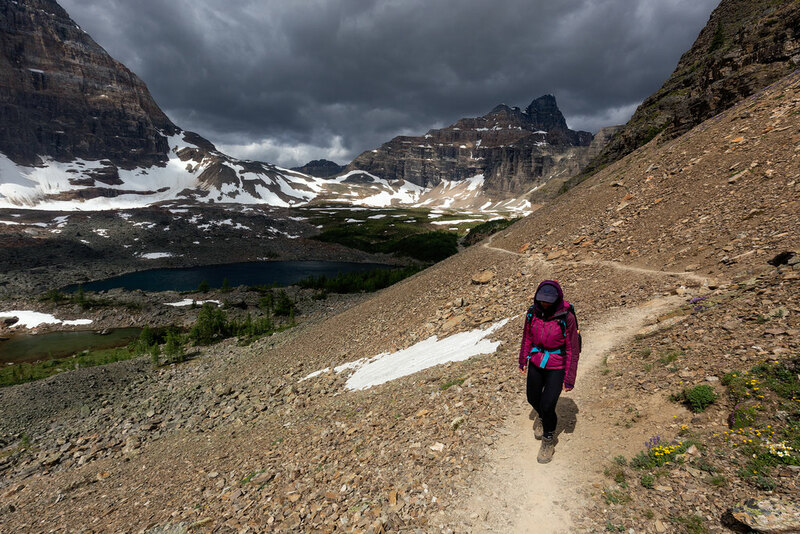 You can do it in either direction but I would recommend doing it from Paradise Valley to Moraine Lake as it's easier to hitchhike from Moraine Lake rather than to Moraine Lake. 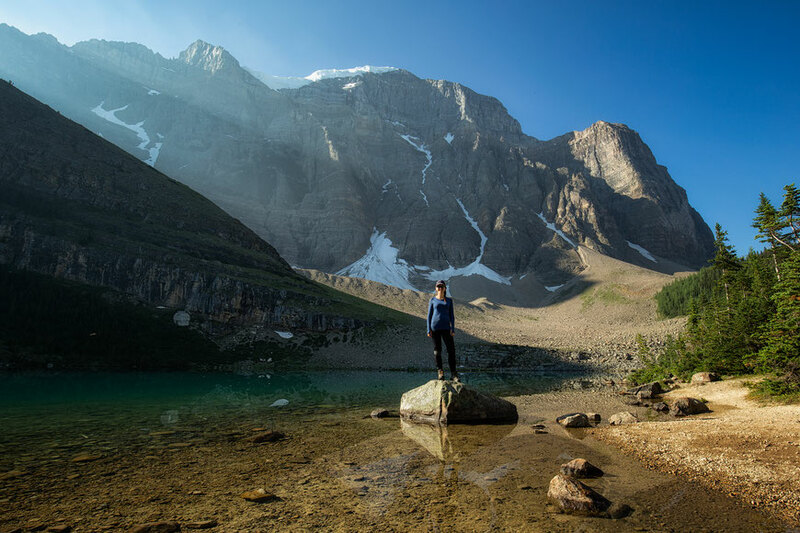 This relocation hike encompasses the Paradise Valley, an enchanting mix of alpine meadows and woodland, Lake Annette, a remote glacier fed, crystal turquoise lake. 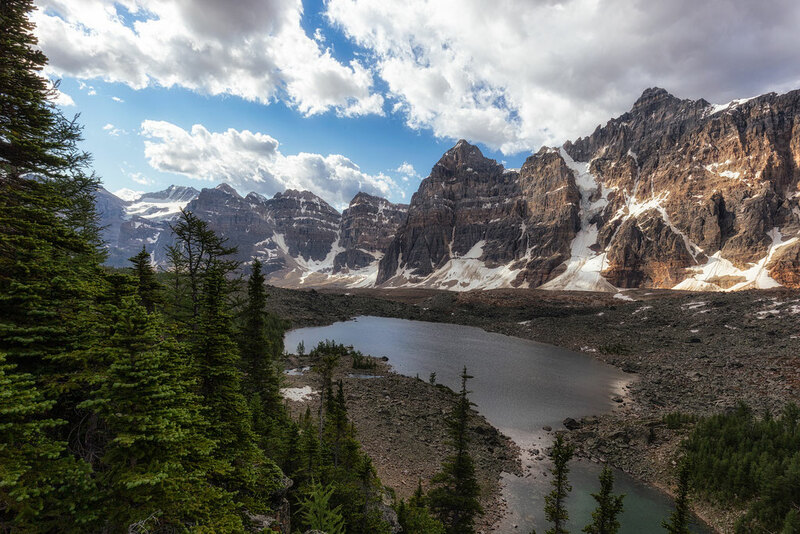 Not too long after starting your ascent up to the Sentinel Pass, down past the Minnestimma Lakes and down through Larch Tree Valley before emerging out at Moraine Lake. It's not the easiest hike but the rewards are truly breathtaking and it will take you away from the crowds and offer a bit more solitude. It's worth mentioning that all hikes mentioned above are very well marked and maintained. There are map boards with trail descriptions at both Lake Louise and Moraine Lake right near the shoreline and impossible to miss. 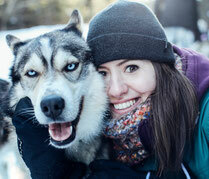 If still unsure, pop into the visitor centre beforehand or purchase a backcountry map. Just remember what I said about the fast-filling parking lots! Stay safe and have fun!